Why am I posting about alpaca yarn??? Those of you who have been out to our farm have almost certainly seen our alpacas. 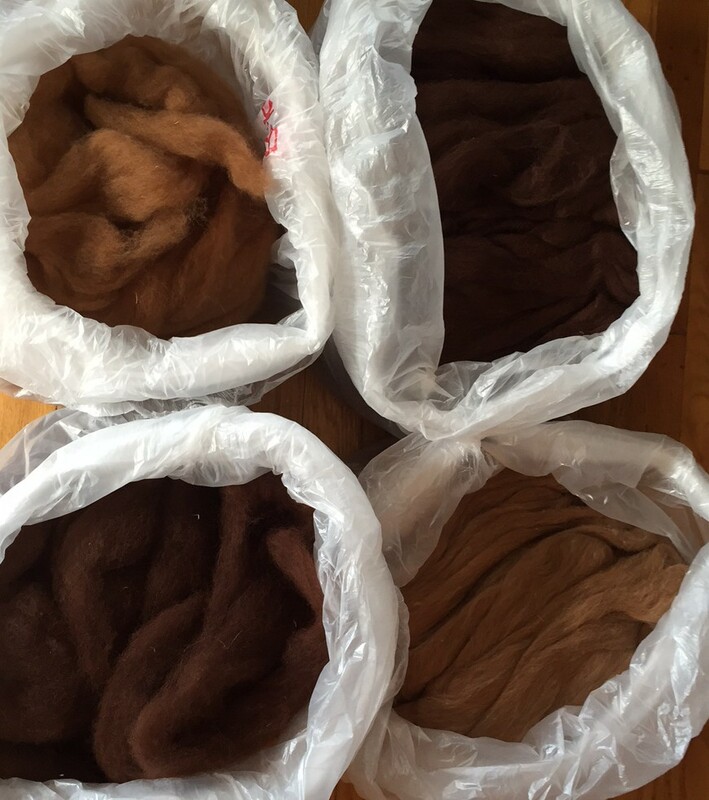 For five years I have been shearing the alpacas in the spring and then stashing away the fiber to clean up “over the winter”. Many winters have come and gone and I never seem to find time to deal with the fiber. But this past winter was different! With the help of Chayo and Leonie, I got all the fiber “skirted”. Skirting is the process of removing unwanted items from the fiber – straw and other plant matter, coarse or otherwise undesirable bits of fiber, second cuts, and anything else you don’t want in your final product. This is a time-consuming process–and completely overwhelming once you have let five years’ worth of fiber accumulate! But the Chayo, Leonie, and I were determined to get it done. Finally it was ready to take to the fiber mill! (With much rejoicing!) At the mill, the fiber is run through many machines where it is washed, picked, carded, drafted, spun, and plied. 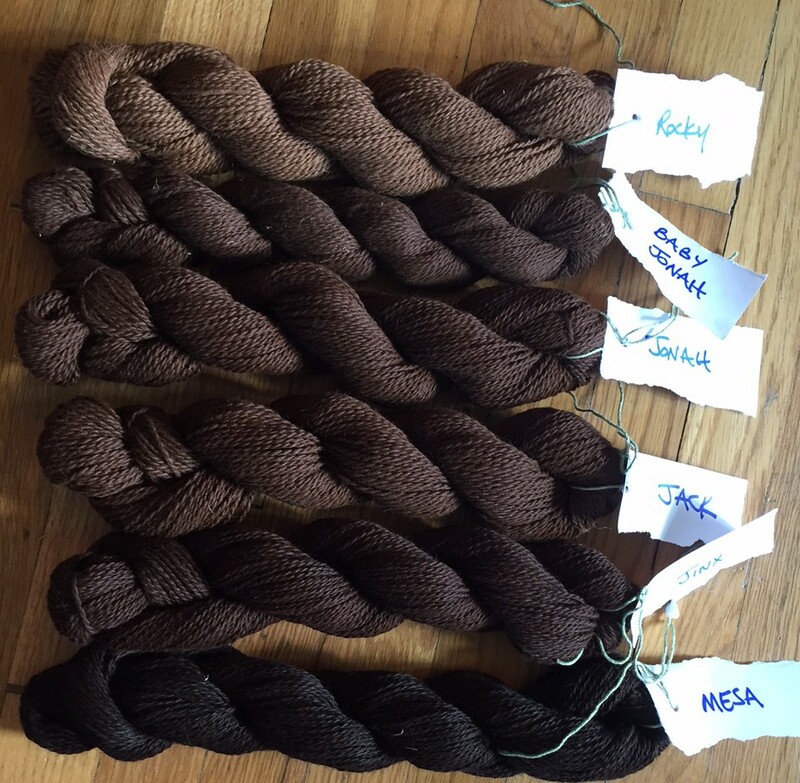 2 Responses to Alpaca Yarn! Ahhhh…That’s a beautiful range of natural colors! I can’t wait to knit with it! What mill did you use? I would love a good recommendation!